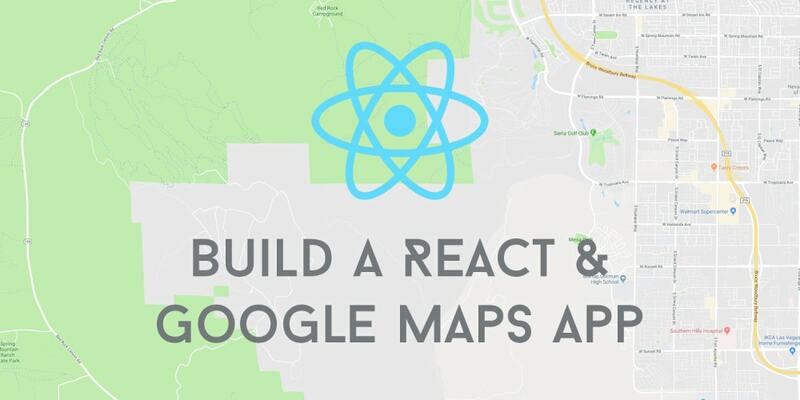 This tutorial aims at integrating the google maps API to your React components and enabling you to display maps on your website. Introduction to Google Maps API. At some point of our lives, we&apos;ve all gotten a chance to use and interact with the google maps, either through finding directions, viewing our current location, ordering cabs or estimating distance and time from one point to another. Including the Google maps API in a React App is actually far much easier than expected due to its rich documentation which I highly suggest that you look into, and the npm package by Fullstack React. Go on ahead and grab your API key here. Once you’ve named your project (whatever you want) you can set up your billing info which will automatically enable your the API and generate the API key. PS: Do not be hesitant of adding your billing info as the Google cloud platform offers you a 12-month free trial period and will not bill you after the trial period until you give your permission. For some quick setup, we are going to use facebook&apos;s create-react-app which saves us the hassle of having to configure webpack or babel. Before we add any code, let’s go ahead and install our dependency. In index.js remove the css import. Time to create our component. We will need to edit our App.js file and instead have our component that will load our google map. For a simple Google Map, this is literally all the code you need. Go ahead and run your app and ensure that the map loads to the browser. The GoogleApiWrapper is simply a Higher Order Component(HOC) that provides wrapper around Google APIs. Alternatively, the GoogleApiWrapper HOC can be configured by passing a function that will be called with the wrapped component&apos;s props and should return the configuration object like so. Wouldn&apos;t it be exciting to have a Marker and an infoWindow on our map showing our set initialCenter position? So let&apos;s add this functionality to our code. First we need to import Marker and infoWindow components from the google-maps-react library inorder to help us achieve loading of the two. Notice that our component before was stateless?, We need to add state for state management. Next, we need to add event handlers for when the map and the marker are clicked. The onMarkerClick is used to show the InfoWindow which is a component in the google-maps-react library which gives us the ability for a pop-up window showing details of the clicked place/marker. Sidenote: the visibility of the infoWindow is controlled by the boolean visible prop which shows the InfoWindow component when true and hides it when false. The onClose basically is for closing the InfoWindow once a user clicks on the close button on the infoWindow. Run your app and ensure you have the one marker with the infoWindow upon click. TODO: Try and add a few more markers on your map and more interactivity to your infoWindow. Let&apos;s spice things up by having our map pick our browser&apos;s current location. We will be using navigator which is a read-only property that returns a Geolocation object that gives Web content access to the location of the device. In our src folder create a new file and name it Map.js and create a component named CurrentLocation this is where all our functionality to pick our browser&apos;s location will lie. Let&apos;s also update our CurrentLocation component to cater for the instance when the Map is first loaded as we cannot solely depend upon the google API being always available, hence we need to check if it&apos;s loaded. And also check if the browser&apos;s current location is provided and recenter the map to it. Let&apos;s define the recenterMap() function which only gets called when the currentLocation in the component&apos;s state is updated and uses the .panTo() method on the google.maps.Map instance to change the center of the map. Next, we need to handle the instance when the map has already loaded.This will be handled by the componentDidMount() Lifecycle method which will set a call back to fetch the current location. Notice the loadMap() function? Let&apos;s go on ahead and define it. Basically, the loadMap() function is only called after the component has been rendered and grabs a reference to the DOM component to where we want our map to be placed. Our CurrentLocation component is almost looking up, But we need to ensure that our previous Marker picks our currenct location ie the browsers current location and so we need to introduce Parent-Child concept through the renderChildren() method which will be responsible for actually calling the method on the child component. Run your app; heading over to our browser, our map should first load with our initialCenter then reload to pick our browser&apos;s current location with the marker positioned to this location and Voilà we are done.